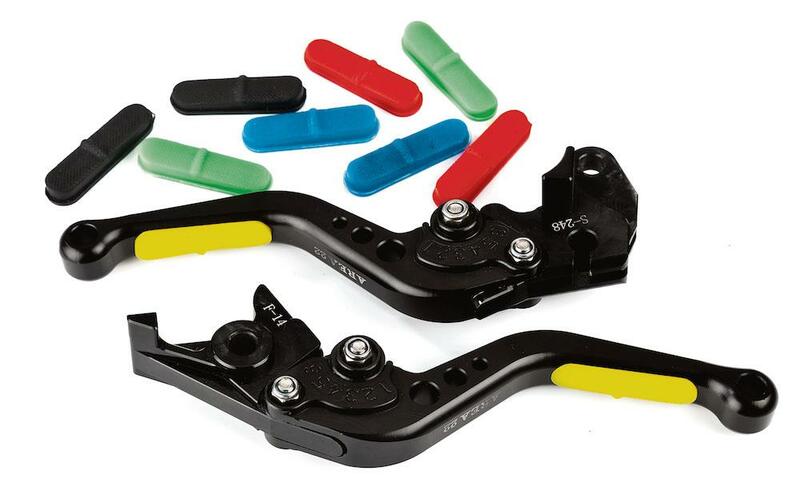 These are the first short levers I have ever used on a bike and I was pleasantly surprised with them. Initially I was sceptical, questioning their benefit, but they saw me through my daily commute up and down the A1 with no problems at all – regardless of the weather. I was also very impressed with their finish and how they complimented the look of the bike. They have a very high quality feel to them and the anti-slip inserts really do help with clutch control at low speeds. I also found their smaller size quite confidence inspiring when using the brakes, offering a good level of feedback and a natural position for your hands. There is also plenty of adjustment too, making them suitable for even the longest of fingers. Their smaller size did sometimes become a bit of a pain in slow moving traffic. Constantly engaging and disengaging the clutch with only two or three fingers on the lever would often cause my hand to hurt. This made the ride uncomfortable until I was out of the jam and even then it took a few miles to shake the ache.